The essays assembled in this volume are shaped by conditions—both enabling and constraining—that can perhaps best be described as an “ethnographic chiasmus.” This expression refers to the surprise and reversal of position that are characteristic of fieldwork, and it attends to the fact that transcultural understanding comes about as a meeting, touching, or “crossing.” Chiasmus also pertains to the relationship between culture and rhetoric in general. Culture structures rhetoric; rhetoric structures culture. Both are coemergent. 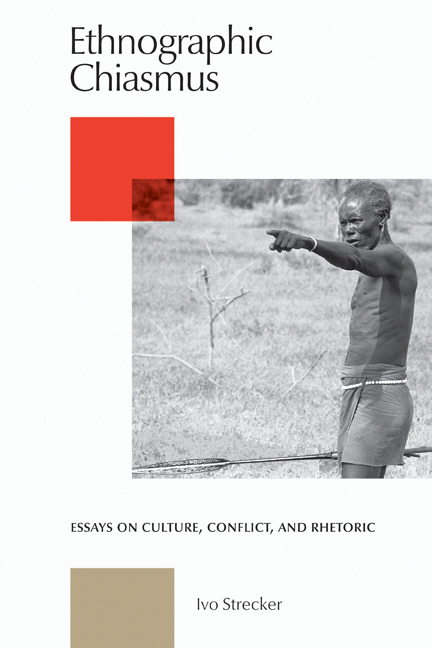 In order to elucidate this process, ethnography has to focus on the manifold modes of rhetoric through which culture-specific patterns of thought and action are created. Ivo Strecker is Professor Emeritus at the Institute for Anthropology and African Studies, Johannes Gutenberg-University Mainz, Germany.